Enjoying himself in Paris for Jordan Brand's Quai 54 streetball tournament, Gentry Humphrey broke out these custom "G$" IVs. When your title at one point is "Footwear Business Director of Jordan Brand," as it was for Gentry Humphrey all during the 2000s, surely you can have some fun and order up some custom samples of your own from time to time. Humphrey also just so happens to be a sample size 9, and as we saw in his 2000+ pair collection, he's been stashing away some of the rarest sneakers in Beaverton for years now. 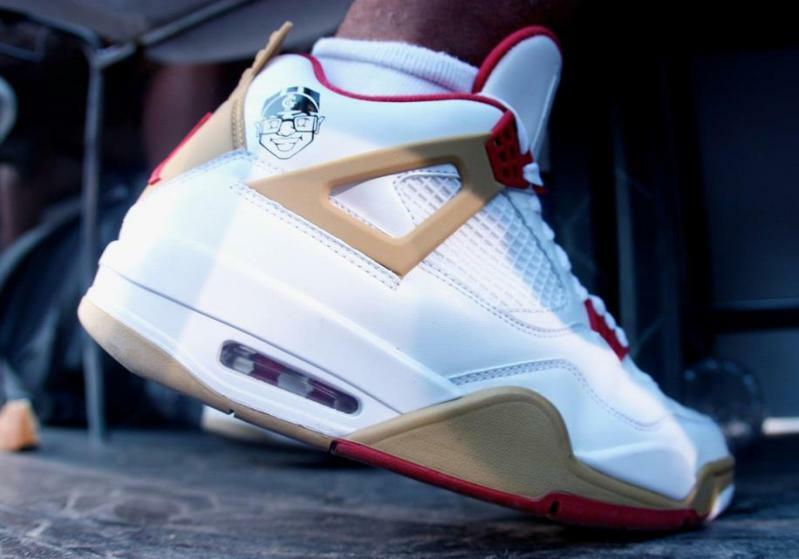 In Paris this week for Jordan's Quai 54 streetball tournament, Gentry decided to break out this sample of the Air Jordan IV that -- we're serious here -- feature his own face along the collar. 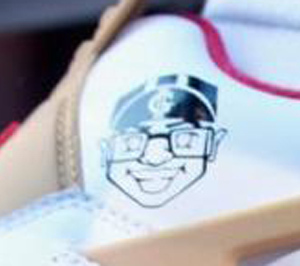 Reminiscent of the "Mars" Retro 4s that dropped in 2006 and featured Spike Lee's mug along the heel, this pair features a cheesing Humphrey wearing a flipped up cap with "G$" spotted just under the bill. We'll stay tuned this week to see what else Gentry breaks out for the high-visibility event.